Green Water Technologies is a GE dealer, offering superior water filtration products for everyday life. According to Green Water Technologies, GE’s Pro Elite Professional Series Water Treatment System is the gold standard in water purification across the United States, and the company is proud to be an exclusive San Antonio-area dealer. Green Water Technologies chose GE’s Pro Elite product series for its user-friendly features, including a full-digital electronic control system that adjusts according to water usage. The system is also energy star certified and only regenerates when needed. The GE Pro Elite Professional Series Water Treatment System offered by Green Water Technologies provides a memory backup system that keeps user settings in case of a power outage and is constructed with corrosion and wear-resistant materials. Water filtration provided by Green Water Technologies allows the homeowner to reduce their cleaning supply and detergent consumption by up to 50 percent and eliminates hard water residue and film. Additionally, Green Water Technologies explains that eliminating unconditioned hard water increases efficiency and reduces energy costs associated with appliances that consume water, such as dishwashers, clothes washers, and water heaters. Green Water Technologies believes that everyone deserves clean, fresh drinking water free of toxins, so the company has partnered with some of the most reliable names in finance to ensure accessibility. In 2007, Green Water Technologies approached Bank of America and other lenders to secure special financing for customers. Now, countless families throughout the San Antonio are healthier and happier and live in a cleaner environment—families who otherwise would not be able to afford this technology. Green Water Technologies is proud to be a highly rated, accredited member of the Better Business Bureau and member of the Texas Water Quality Association. Over the last eight years, Green Water Technology has worked to gain the trust and respect of homebuilders, buyers and business owners—a trust that has earned this National Association of Homebuilders member the business of IHOP and Red Robin Restaurants. 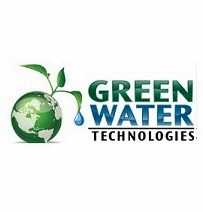 For more information, call Green Water Technologies at (210) 377-0303 or check out their services online at gwtinc.com.